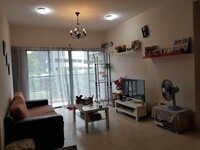 Changkat View is a Freehold Condominium located at Dutamas, Segambut, Kuala Lumpur. 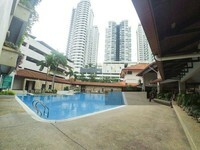 It is developed by Changkat Kiara (a member of the Plenitude Group) and was completed in 2009. Changkat View comes with 4 blocks of 26 storey building which comprises a total 796 units. The built-up size of the unit measures approximately 1,100 sq ft to 2,150 sq ft in size All units come with 3 bedrooms. 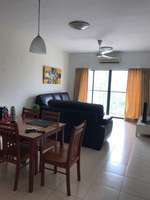 Changkat View provides facilities such as Security, Barbecue area, Tennis court, Gymnasium, Mini market, Sauna, Swimming pool, Laundry and Malay Store. 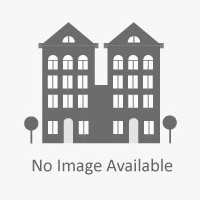 Changkat View is near to amenities such as shopping mall (Suria KLCC, Mid Valley Megamall, Berjaya Times Square, One Utama and The Mall Shopping Centre) , and schools (Mont Kiara International School and Garden International School). 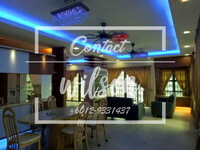 Changkat View can be reached from major road such as Jalan Duta and Jalan Kuching, and highways such as The North South Expressway, Sprint Highway, and the newly opened Penchala Link. 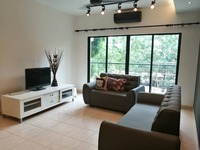 Get me good deal if there is any units available in Changkat View.